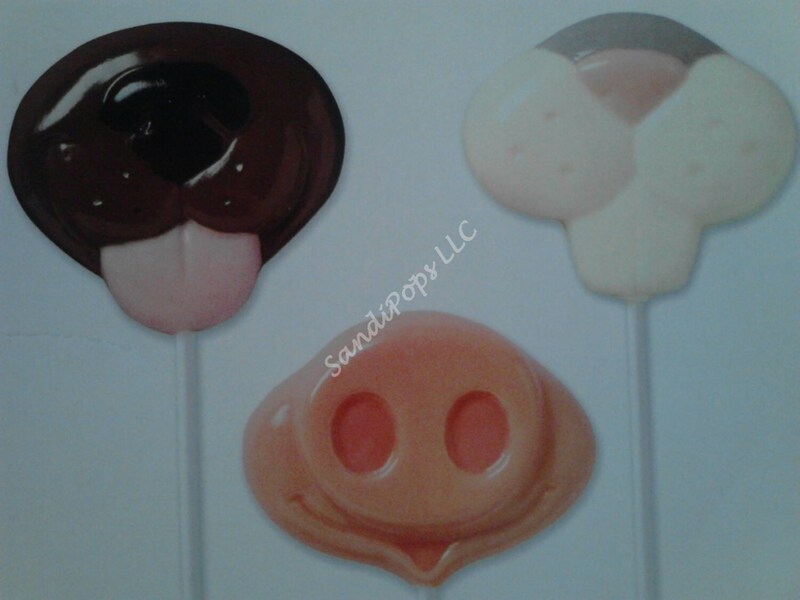 This listing is for 24 lollipops- 8 of each pig, dog, rabbit as pictured, unless you specify colors and quantities. Each lollipop is individually wrapped in a bag and tied with a curled ribbon in a corresponding color. I can certainly make any number of pops you need, convo me for pricing. I can also make any number of any colors you wish to match your party colors. I can also add Thank you tags at an additional cost.